Despite the heroics of Eintracht Frankfurt, who progressed to the quarter-finals of the Europa League by eliminating Inter Milan at the San Siro with relative ease, it has been a damaging week for the Bundesliga in Europe. Frankfurt deserve all the praise they are receiving for their entertaining brand of football and for the raucous fans who have supported them all the way. As well as being the Bundesliga’s sole representative in European football competition, Frankfurt are also closing in on a Champions League position in the league. Elsewhere, the story was very different. Schalke went to the Etihad with little hope or expectation against Pep Guardiola’s Manchester City. The spirit and encouragement from the first leg quickly dissipated as Schalke were humiliated in an utterly feeble showing. It finished 7-0, but it could have been worse. The vote of confidence Domenico Tedesco had received earlier in the week was short-lived. The Schalke board were forced to act upon the massacre in Manchester and relieved Tedesco of his duties, offering kind words to the young coach for all his efforts. As I stated last week, Tedesco was known to be on thin ice and the nature and magnitude of the Manchester City defeat clearly cracked it, but he is young and talented enough to come back from this. For Schalke, the decision was made for Huub Stevens to take interim charge of the team for what is now his third spell at the helm. The immediate response they’d hoped for didn’t quite materialise at home to RB Leipzig on Saturday. Salif Sane, Sebastian Rudy and Mark Uth all found themselves back in the starting line-up, and an early Uth goal, which rightly got chalked off for offside, showed that they were up for the game. But the positive opening ten minutes were some undone by some awful defending from Sane and, after a fantastic save from Alexander Nübel, Timo Werner was on hand to tuck away a loose ball for the visitors. Leipzig looked fairly comfortable as Schalke probed but lacked the necessary guile and penetration to find a breakthrough. It finished 1-0 to Leipzig, and summed up the problems facing Schalke if they are to avoid dropping into that relegation play-off position. Borussia Dortmund had been eliminated from the Champions League at the hands of Tottenham Hotspur a week earlier, but bounced back against Stuttgart before facing the arduous task of an away trip to Hertha Berlin for Saturday evening’s “top spiel”. Things got off to the worst possible start as Roman Bürki dropped yet another howler to present Salomon Kalou with a simple tap-in. Dortmund rallied and were presented with a welcome slice of luck as Thomas Delaney’s shot took a huge deflection off Karim Rekik and end up in the back of the Berlin net. Kalou scored his second from the penalty spot on 35 minutes after Julian Wiegl had unnecessarily used his arm to block a cross. Jadon Sancho and Christian Pulisic switched wings at half-time and a positive start to the half was capped off by Dan-Axel Zagadou heading in a towering header from a corner. Dortmund proceeded to squander chances, and despite a red card for Jordan Torunarigha it seemed that they were going to drop more valuable points. Up stepped Marco Reus to finish Sancho’s pass in injury time, giving them the win they deserved. There was still time for Vedad Ibisevic to lose his head and get sent off, but the story of the game was Dortmund finally winning the sort of match they’ve been drawing over recent weeks. So, onto Bayern and their exit from the Champions League at the hands of Liverpool. For all Niko Kovac deserved credit for his tactics in the first leg, their reluctance to attack at the Allianz meant they went out with a whimper in a truly underwhelming showing. The confidence to push forward and attack teams in the Bundesliga was nowhere to be seen against Liverpool, and it was a defeat that didn’t go down well with anyone connected to Bayern. They returned to domestic action on Sunday as Mainz were the opponents for the James Rodriguez testimonial match. In truth, that was all it was; Mainz were pitiful and Bayern strolled to another 6-0 win with James enjoying a well taken hat-trick. Robert Lewandowski opened the scoring and Kingsley Coman smashed in a very nice goal. Alphonso Davies was able to register his first ever Bundesliga goal in this game, which could easily have ended in double figures were it not for Bayern easing off in the latter stages. It was actually embarrassing for the Bundesliga to have such a woefully one-sided affair where the visitors had all but given up after 15 minutes. 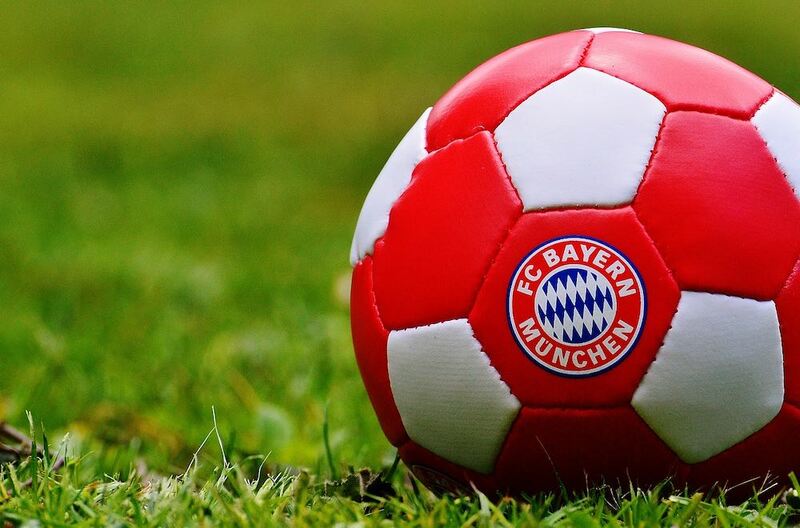 Bayern look likely to go on and win the title yet again, but their European exit, like that ofthe other teams, show that the Bundesliga has issues it needs to address if it is to become more competitive both domestically, and in Europe.